I found your response to my supplemental in Question Period on September 17 discouraging. 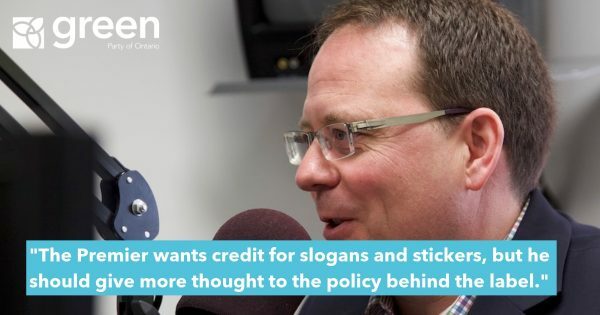 Rather than respond to my question about the notwithstanding clause, you used the opportunity to inaccurately disparage the City of Guelph and the people I represent. I would like to clarify that it was not the City of Guelph, but rather Guelph / Eramosa Township that denied the Xinyi’s development application to build a glass plant. It is located in a riding that voted Conservative. I find it disappointing that you would err so greatly in a public statement. Furthermore, your efforts to smear Guelph left out some very important facts about the reason for the denial – the protection of the region’s drinking water. The company was seeking to extract up to 1.6 million litres of water every day from an aquifer that has already experienced water shortages. This is not an insignificant amount, especially since Guelph is the largest city in Canada that relies on groundwater for its drinking water. Premier, water is our most precious resource, and it belongs first and foremost to the public. 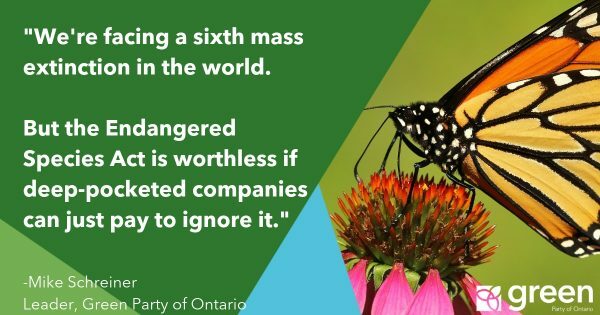 Ontarians have every right to stand up for it. And the people of Guelph have done an amazing job of reducing water use while increasing population and jobs. In fact, while your comments implied that Guelph is closed for business, the city has one of the lowest unemployment rates in the province and has more small businesses per capita than almost anywhere in the country. Guelph is a leading example that we do not need to make a choice between protecting drinking water and creating good jobs. Regarding Xinyi’s application, Guelph’s Deputy CAO Scott Stewart cautioned that any new water takings in this area could represent a significant threat to drinking water and a risk to the city’s water supply. Councillors in Guelph / Eramosa Township had similar concerns for private wells. The council followed a proper process for deciding on Xinyi’s application. And it must be noted the company chose not to appeal the decision. Premier, you owe the people of Guelph and Guelph/Eramosa township an apology for disparaging a decision they had every right to make. Even more disturbing are reports that you held closed-door meetings with Xinyi. It would be inappropriate for your government to interfere in a municipal decision, and even worse, to do so behind closed doors. Premier, I am asking you to respect the people of Guelph/Eramosa, including their elected councillors, and fully disclose the details of your closed-door meeting.